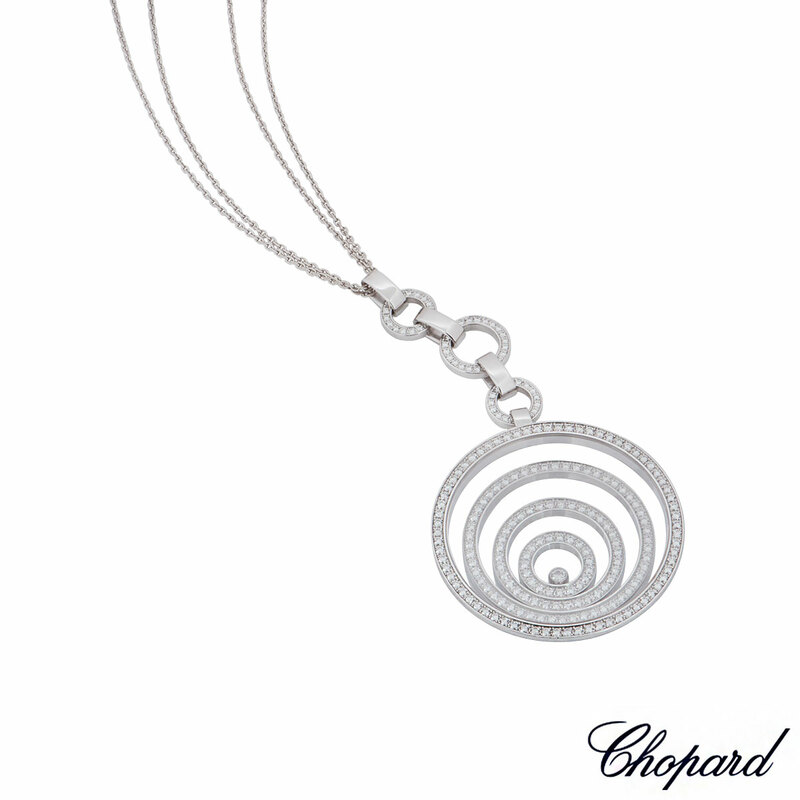 An 18k white gold necklace by Chopard from the Happy Spirit collection. 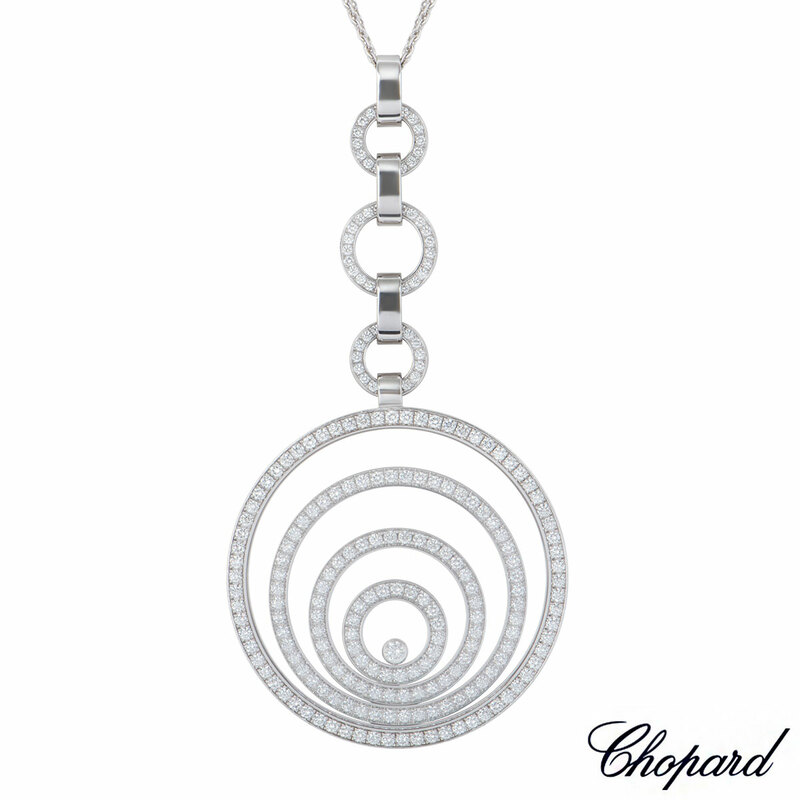 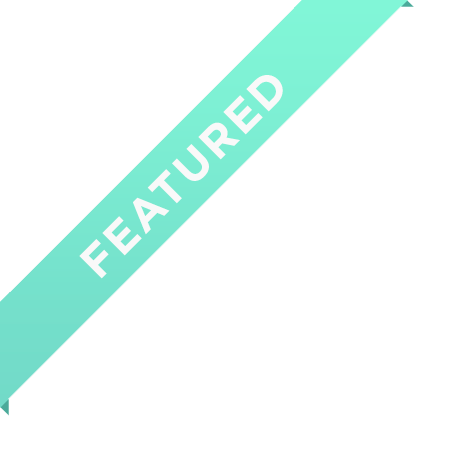 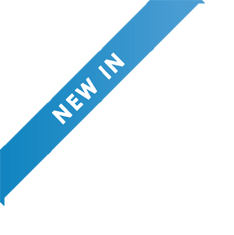 The circular pendant consists of a diamond set bale and outer case with 3 diamond set circular floating motifs, complimented by a single floating diamond in the centre. 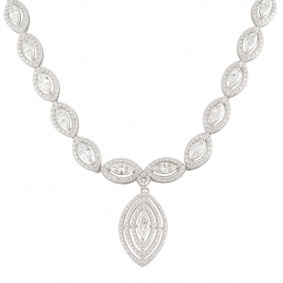 The pendant has 233 round brilliant cut diamonds in total, with a total weight of 3.20ct, predominantly F colour and VS clarity. 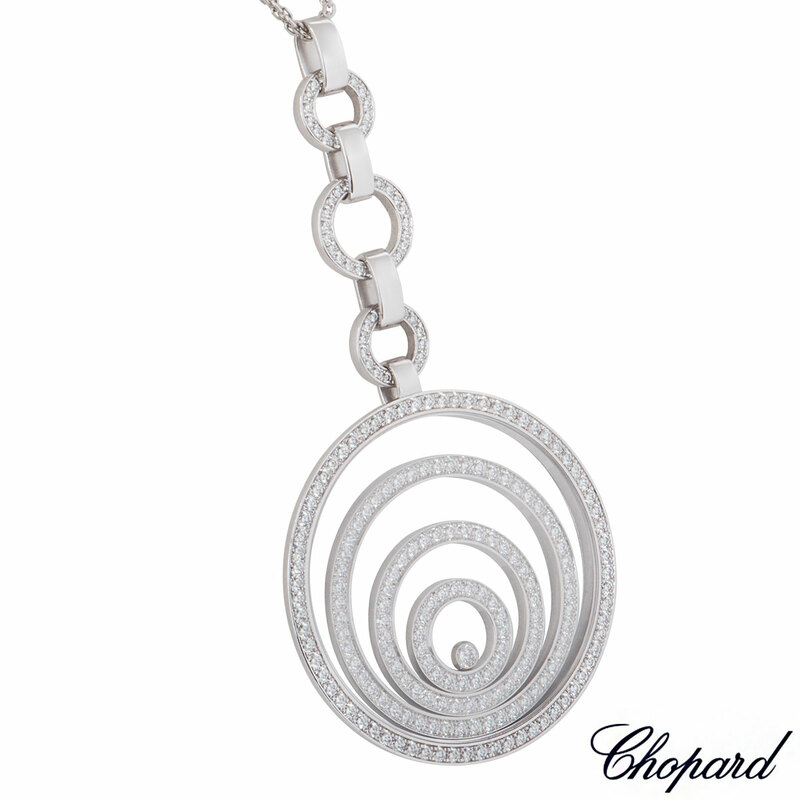 The pendant measures 4.20 cm in diameter with an original 23 inch chain and has a gross weight of 48.00 grams. 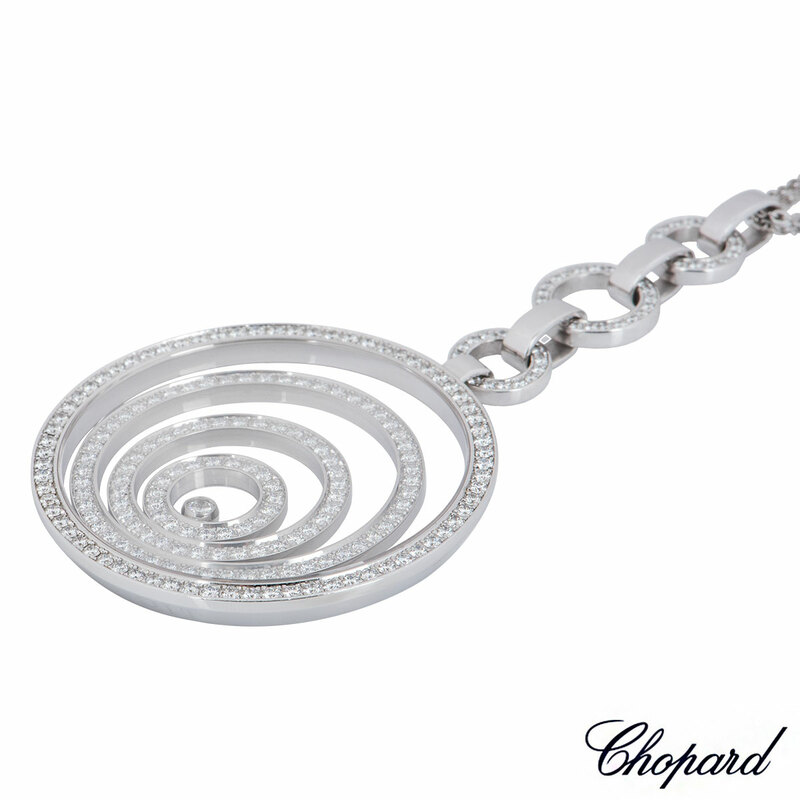 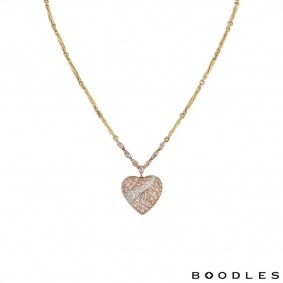 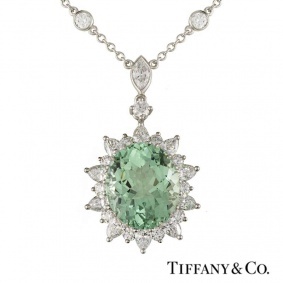 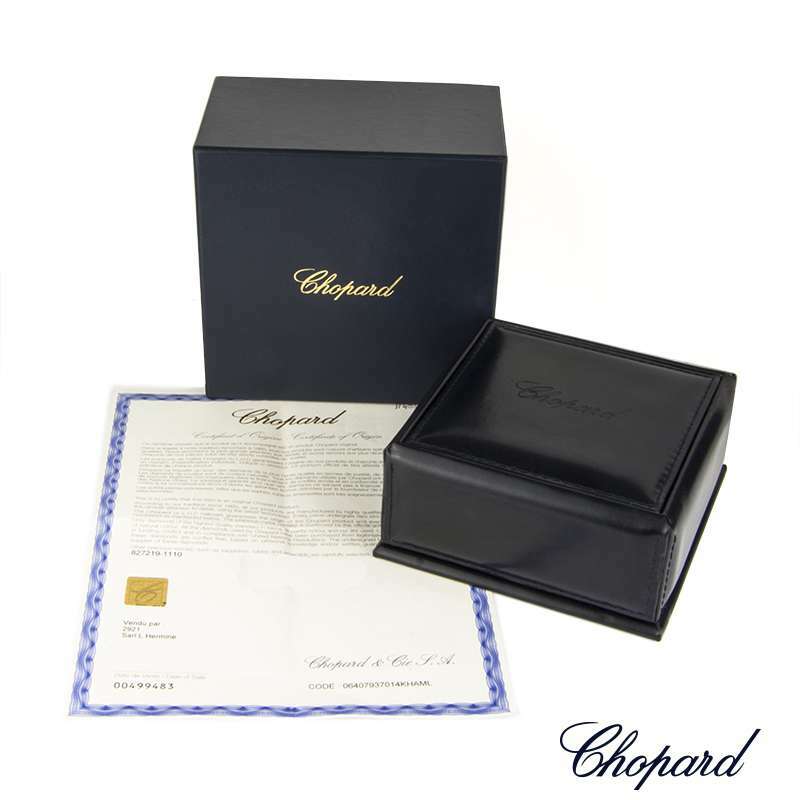 The pendant comes complete with a Chopard presentation box and Chopard papers dated February 2012.